When freshman pitcher, Jake (Blake Jenner), moves into a house with his college baseball team, he realises he has entered the unknown. This aint high school - college is a whole new game and, until he earns teammate status, he is a nobody. Time to adapt or die (socially). Living off campus, there are only two rules: no alcohol and no girls allowed upstairs. Those rules are broken within minutes as, in the days before classes begin, the baseball team set out to have as much outrageous fun as possible. For, deep down, each one of them knows, crazy days of freedom are numbered. I watched Richard Linklater’s Everybody Wants Some!! as part of Odeon’s Screen Unseen series. For my cinema audience, this film proved divisive. Some people thought it was ridiculous, hilarious fun. Others felt frustrated, complaining that nothing really happened. Full disclosure, I love Richard Linklater’s movies. I love that he is more interested in character than plot and I love how he make the mundane feel poetic. I was blown away by Boyhood, I adore School Of Rock and Before Sunrise, Before Sunset and Before Midnight is my favourite cinematic trilogy. Long story short, I was ready to love Everybody Wants Some!! So, here’s the thing. Hand on heart, I did not love Everybody Wants Some!! as much as the Linklater films I have just mentioned. However, I thoroughly enjoyed this movie - it is a lot of fun and I laughed all the way through. Everybody Wants Some!! is far closer to Linklater’s 1993 film, Dazed And Confused (which features classic performances from little known actors Matthew McConaughey and Ben Affleck) than any of his more recent movies. 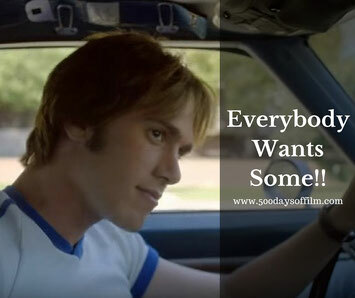 While the events in Dazed And Confused take place on the last day of high school in the 1970s, Everybody Wants Some!! is rooted in the 1980s - in the days leading up to the start of the college year. The film aims to recreate the look and feel of Linklater's own college experience. As is to be expected from this honest and incisive director, everything feels perfectly authentic. However, you don't need to look back at the 1980s with nostalgia for this movie to work. Its key theme (about the freedom and choices of youth) is relevant no matter the decade. 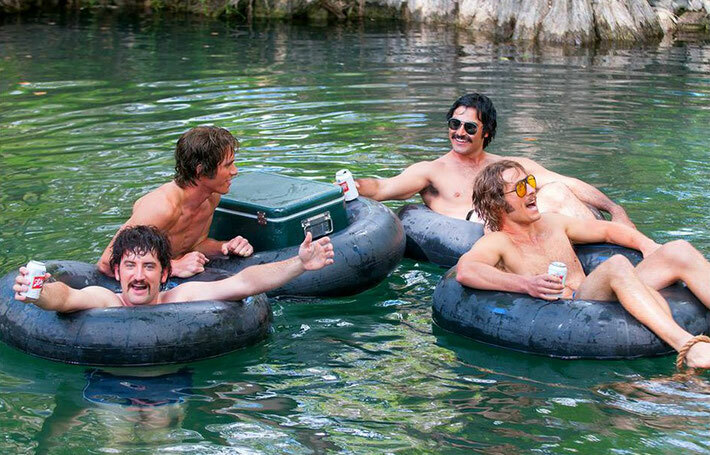 I found myself laughing a lot during Everybody Wants Some!! This is not a movie focused on landing one liners, however. And, importantly, this is not one of those gross out, borderline misogynistic films either. Instead, the comedy is grounded in a sense of reality - the laughs feel organic and arise from the situations in which the group finds itself. The ensemble cast works well and the group feels naturally funny - largely thanks to the time they spent together before filming even started. They all give strong performances and Blake Jenner is particularly endearing as Jake. However, Glen Powell’s Finn is the stand out performance for me. He lights up every scene and gives his character unexpected emotional depth. Meanwhile, the music in this film is pure genius. As soon as the movie started (with those unmistakable first bars of My Sharona by The Knak), my foot started tapping. I just might have to buy this soundtrack - it is full of absolute classics. I also loved the 1980s hairstyles and fashion - the boys' costume changes are brilliant. By the end of Everybody Wants Some! !, fitted t-shirts tucked into high-waisted, dangerously tight trousers seemed perfectly natural. What I like most about Everybody Wants Some!! is that, underneath all the partying and the drinking and the chasing of girls, lies something deeper and rather poignant. There are some truly beautiful moments in this film (typical of Linklater) where characters examine their lives and voice their hopes. Each character we encounter is full of 1980s optimism. Anything is possible. They are on top of the world - life doesn’t get any better. For some of the group this may well prove true. As fun as their experience of college is, there is an undeniable sense of sadness that, one day, the party will have to end. While I didn’t fall in love with Everybody Wants Some!! in the same immediate way as I did with Boyhood or the Before Trilogy, I did really enjoy Everybody Wants Some!! Linklater has delivered the movie that he set out to create: a non-stop party with surprising, hidden depths. To get a feel for the music of Everybody Wants Some! !, head over to the film’s website (www.everybodywantssomemovie.com) where you can listen to the brilliant soundtrack. The film’s title is taken from a Van Halen song. Have you seen Everybody Wants Some!!? If so, what did you think about this film?